Last week, a famous New York tattoo artist, who’s tattooed the likes of Rhianna, Katy Perry, Miley Cyrus, and Justin Bieber, filed a lawsuit against a former staffer, claiming she began stealing his prospects while working at his iconic NYC tattoo parlor “Bang Bang.” The owner claims he fired her after “she’d begun secretly cancelling customer’s appointments and referring them to another unspecified studio, where she’d covertly begun working.” The owner is seeking $153,859 in damages, which given that a single sleeve tattoo at his shop can cost $20,000, is really not a big sum. The disputes over client poaching between business owners in the beauty industry (med spas, massage salons, hair salons, tattoo parlors, etc.) and their employees are very common. Most of the time, they do not escalate to the lawsuit level because of one of the three reasons: (1) a business owner does not know the departed employee poached clients; (2) a business owner cannot prove that the departed employee poached clients; or (3) the former employee’s poaching of a few clients is just not worth the cost of litigation. The salon owners often feel that their employees benefit from being associated with the salon’s name and brand as well as the marketing campaigns that such salons often implement to attract new customers. The owners also often train employees either personally or by sending them to various classes. The employees, however, often feel that their clients keep coming back to their salons because of their skills; not because of the brand behind them. Both are usually right to a degree. In the beginning, a salon’s reputation and marketing can help a fledgling professional get access to a customer base, which they would never be able to reach otherwise. As an employee matures professionally and builds customer relationships, his or her clients are more likely to come back because of that employee’s particular skills rather than the salon brand. Confidentiality – a strict confidentiality clause that explains to salon employees that certain information about clients is considered confidential and cannot be disclosed or used by the employees for their own benefit and/or after they leave. Social Media Ownership – many salons in the beauty industry now use Instagram as ways to market their services and often include the “before” and “after” photos of their clients. An employee agreement should specify who owns such images and what happens to them if the employee who performed the work and/or posted the images, leaves. Non-Competition – a classic non-competition clause will prohibit a former employee from working for a competitor within a certain geographic area of the salon. This area should be “reasonable” in light of the salon’s geographic reach and its clientele, and the role of the employee at the salon. Non-Solicitation – in addition, or instead of, a non-competition clause, salons should also have an agreement that prohibits employees from soliciting their former clients for a certain period of time after they leave. It may also need to address the social media “indirect solicitation” by former employees. See my prior post here. Repayment of Training Costs – such provision in a contract allows a salon that provides a lot of training to its new hires to recover the training costs if an employee leaves before working for the salon for a certain period of time. Buy-Out Agreement – a salon can always include a buy out clause in the employment agreement, which will allow an employee to buy their non-compete and non-solicitation restraints if they wish to leave and continue to work in the area close to the salon or service their former clients. They key to drafting the above provisions is to make sure that they are reasonable, not overbroad, and clear to employees. In Part II, I will address what salons can do when they find out that a former employee has poached or is attempting to poach clients. The Texas Citizens Participation Act (TCPA), enacted by the legislature in 2011, has been wrecking havoc in business and employment disputes due to the statute’s overbroad language, confusing and conflicting interpretation by the various courts of appeals and federal courts, and defendants’ persistence in invoking the statute’s dismissal process in trade secrets and non-compete lawsuits. In late 2018 and early 2019, at least two Texas Courts of Appeals issued scathing opinions criticizing the statute’s dismissal mechanism being used by defendants in the run-of-the-mill trade secrets and non-compete disputes. It appears that the legislature heard the complaints from the bench and the business community, which is why in the past week, we have seen three new bills that seek to exempt trade secrets and non-compete disputes from the grasp of the TCPA. (2) “Exercise of the right of association” means a communication between individuals who join together to collectively express, promote, pursue, or defend common interests. The term does not include a communication that is the basis of a claim asserting a misappropriation of a trade secret or a breach of a covenant not to compete. The bills contain many other amendments to the statute that are unrelated to trade secrets and non-compete litigation and they face tremendous opposition from the press. For example, the Reporters Committee for Freedom of the Press issued a press release stating its concern that “HB 2730 and SB 2162 would, if enacted, significantly undermine key parts of TCPA and, therefore, speech protections in Texas.” Therefore, their passage remains an open question. We will continue to monitor their progress through the legislature and will provide an update if they pass. Can a “Friend Request,” a “Like,” or a New Job Announcement on LinkedIn Violate A Non-Solicitation Agreement? The growth of social media has been raising complex new issues for employers seeking to enforce their non-compete and non-solicitation agreements. For example, if a former employee connects with a company client or a former coworker on LinkedIn, can such connection result in a breach of the employee’s non-solicitation agreement? What if an employee announces on his LinkedIn profile that s/he has a joined a competitor and invites all the followers – many of whom are the former employer’s customers – to check out the new employer’s website? Could that be a violation of that employee’s customer non-solicitation agreement? The courts around the country have been grappling with these issues in the recent years and are yet to come up with a bright line rule. However, they all seem to agree that the more “passive” the social media activity is, the less likely it is to constitute a prohibited solicitation of customers or employees, and the more “active” the posts are or the more akin they are to oral solicitations, the more likely they are to violate non-solicitation restrictions. In this post, I take a closer look at the various decisions from across the country and synthesize common themes. 1. Employees’ posts about starting a competing business or advertising job openings at their new place of employment on public social media pages. In H&R Block Tax Servs., LLC v. Frias, a former H&R Block franchisee promoted his tax services business on a publicly available Facebook page. No. 4:18-00053-CV-RK, 2018 U.S. Dist. LEXIS 25667 (W.D. Mo. Feb. 16, 2018). H&R Block argued that the Facebook posts were made with the intent of soliciting and influencing former H&R Block customers to visit Defendant’s new tax business. The vast majority of Defendant’s Facebook friends were his former H&R Block clients. Many of the people who “liked” the post and commented on it were H&R block clients from the Defendant’s client list. Thus, H&R Block argued that posting to friends, who were former clients, was akin to sending them a direct message about Defendant’s new business. Moreover, Defendant actively engaged with H&R clients who commented on his post by telling them to call him. Defendant argued that his posts on Facebook were just an electronic version of an actual physical sign stating “tax preparation,” which H&R Block had admitted would not be a breach of the non-solicitation agreement. The court did not buy H&R’s argument and denied the portion of the preliminary injunction application that sought to prohibit Defendant from posting on social media, requiring additional briefing from the parties on whether Facebook posts were “solicitations” under the Franchise Lease Agreement with H&R Block. The case was subsequently resolved without the briefing. 2. Employees’ announcements of open job positions or advertising of their competing services in private groups where customers or employees are likely to see them. In Pre-Paid Legal Services, Inc. v. Cahill, the employer argued that a former employee’s posts providing general information about his new employer in several private Facebook groups that some of his former colleagues visited and posts about events related to his new employer on his personal Facebook page violated his non-solicitation agreement. 924 F. Supp. 2d 1281 (E.D. Okla. 2013). Specifically, the plaintiff argued that the defendant’s posts about his new employer were meant to solicit his former co-workers to work at the defendant’s new place of employment because the defendant knew that his Facebook “friends” would see his posts. 3. Employees’ announcements of open job positions or advertising of their competing services on their own social media pages which their former customers and co-workers are likely to see. Similarly, in Eva Scrivo Fifth Ave., Inc. v. Rush, a hairstylist announced on her own Instagram page that she had joined a competing business. No. 656723/2016, 2017 N.Y. Misc. LEXIS 3075, 2017 NY Slip Op 31699(U), ¶ 12 (Sup. Ct., NY County Aug. 9, 2017) (Slip. Op.). The former employer argued that her post violated the customer non-solicitation clause because the hair stylist had 94 clients as her Instagram followers, and, therefore, her Instagram posts announcing her new salon were solicitations of such clients. HI ALL MY BEAUTIFUL PEOPLE! I’m proud to announce that I am officially opening my book at Marie Robinson this Tuesday NOV 1st! I’m so excited to be joining such a wonderful team and couldn’t be happier. I hope you will all join me at the new spot for a step up in luxury and al [sic] around cooler vibes! Thank you for the support! Inbox me or email … or call and book apt today with info in bio! CAN’T WAIT! The court denied a preliminary injunction against the hair stylist and noted that “questions remain[ed] about whether [the hair stylist] engaged in any active solicitation” when she made the two Instagram posts in question and that this issue would have to be resolved at trial. In reaching that decision, the Court pointed to two factors: (1) that the hair stylist “advertised” her new job without referencing her old employer and (2) the only persons who received the information on Instagram were those who pro-actively and voluntarily followed the stylist’s personal Instagram site, only some of whom may have been her former clients. However, a district court in Minnesota in Mobile Mini, Inc. v. Vevea reached a different conclusions when it reviewed similar posts by an employee announcing on his page that he had moved to a competitor and encouraging customers to contact him about the new products. No. 17-1684 (JRT/KMM), 2017 U.S. Dist. LEXIS 116235, at *13-14 (D. Minn. July 25, 2017). Call me today for a storage container quote from the cleanest, newest, safest and best container fleet in the State of Minnesota. Let’s connect! 651-295-2982. The former employer argued that the defendant’s LinkedIn posts were visible to her 500-plus connections, including one or more of the employer’s customers, and at least some, if not all, of these connections may have received an email notification about the new posts. The employer also pointed out to the court that when the defendant worked for the plaintiff, her branch manager specifically discussed using LinkedIn to advertise the company’s products and services. 4. “Friending” of customers after leaving employment. In Invidia, LLC v. DiFonzo, a hair salon owner argued that a hair stylist violated non-competition and customer non-solicitation covenants in her employment agreement when she made a “public announcement” on her Facebook page, noting her new employment and “friended” at least eight clients of Plaintiff after she began working at the new hair salon. No. MICV20123798H, 2012 Mass. Super. LEXIS 273, 2012 WL 5576406 (Mass. Super. Ct. Oct. 22, 2012). The defendant argued that being Facebook friends with customers did not qualify as a solicitation of such customers. The plaintiff argued that Facebook was a significant channel of communication between plaintiff and its customers and the defendant’s posts meant to reach those customers. 5. Social media posts inviting the readers to check out the new employer’s website. In BTS USA, Inc. v. Executive Perspectives, LLC, a webpage designer, updated his LinkedIn account to reflect his new job after he had joined a competitor and authored a post encouraging his contacts to “check out” his new employer’s website. No. X10CV116010685, 2014 Conn. Super. LEXIS 2644, 2014 WL 6804545 (Conn. Super. Ct. Oct. 16, 2014) (unpublished order). His former employer filed a lawsuit alleging that the defendant’s LinkedIn activities violated the non-solicitation clause in his employment agreement. The court notes that the use of social media, whether it is Facebook, LinkedIn, Twitter, or some other forum, has become embedded in our social fabric. Absent an explicit provision in an employment contract which governs, restricts or addresses an ex-employee’s use of such media, the court would be hard pressed to read the types of restrictions urged here, under these circumstances, into the agreement. Indeed, such an expansive interpretation of the employment contract would likely render it unenforceable as overly broad. 6. Announcements by sellers of their companies about their new competing businesses. In this case, the seller of the company agreed to a non-compete and non-solicit covenants with the buyer, but formed and began operating a new company prior to the covenants’ expiration. He updated his LinkedIn profile with his position at a newly-formed competing business, and posted on Facebook to announce that his “non-compete ends on 12/31/2010″ and “I have decided that the USA needs another excellent, employee oriented Commercial Collection Agency,” and invited “experienced professionals” to apply for a job. He also sent friend requests on Facebook to current employees of the new owner of the company, asking to view the posted notice of job openings at his competing business. The court found that such activities violated his restrictive covenants with the buyer of his previous company. BOTTOM LINE: Employers who are concerned about their employees’ ability to solicit customers or employees on social media after they leave should write express prohibitions on such activities into their non-compete and non-solicitation agreements and explain and define how and when the restraints will apply. Absent such express language, the courts are not likely to enforce non-solicit or non-compete clauses absent aggravating circumstances such as repeated and aggressive client solicitation, social media posts aimed solely at the customers of the business, or a combination of social media posts with other evidence of direct and in-person customer or employee solicitation. 1. Not signing non-compete agreements with key employees. It seems like a no-brainer, but there are still a lot of companies out there that do not require their employees to sign any non-compete agreements. This is a mistake. A reasonable non-compete agreement can benefit both the company and the employees. A company is more likely to invest into training of its employees if it knows that they will not leave to work for a competitor as soon as the training is completed, and fair geographic restriction will not prevent employees from finding future employment. 2. Having restrictions that are too overbroad. Overreaching in non-compete agreements can backfire in that employees end up feeling like they have no choice but to violate them in order to make a living and courts are less likely to enforce such overbroad non-compete agreements. 3. Not having a legitimate business interest to protect. A Texas employer must share its confidential information or goodwill with an employee in order to create an enforceable non-compete agreement. There is no legitimate business interest in tying up employees with non-compete agreements if they perform tasks that do not involve specialized training, confidential information or goodwill of their employer. 4. Making all employees execute the same non-compete agreement. Requiring the same 2-year / 200-mile non-compete agreement for sales people, secretaries, and C-level executives raises a red flag that the company is simply trying to prevent competition and is not protecting a legitimate business interest. Employees that perform different tasks or serve a different purpose should have different non-compete restraints depending on what they do in the company. 5. Not providing a proper consideration. Different states require different types of consideration for non-compete agreements. In some states, just a promise of future employment is sufficient. In other states, an employer must pay money to an employee in exchange for the promise not to compete. Texas companies should make sure that their non-compete agreements are supported by the right type of consideration in the state where they plan to enforce the non-compete agreements. 6. Not providing new consideration. When asking an already-existing employee to sign a non-compete agreement, employers must provide new consideration for the agreement. For more information, see my previous post here. 7. Not enforcing non-compete agreements. Once proper non-compete agreements are in place, companies should make it a policy to enforce them. Otherwise, the agreements lose their effectiveness with employees, who quickly learn from co-workers that the company never enforces its contracts. 8. Not enforcing non-compete agreements fast enough. This is one of the gravest mistakes for companies in terms of consequences. The longer a company waits to seek a temporary restraining order against an employee who is violating his or her non-compete agreement, the more likely the court is to deny the restraining order because the company cannot show an “imminent” and “irreparable” injury. In other words, if the company has not tried to stop the bleeding, how bad could the bleeding really be and does the court really need to enter an emergency order? 9. Not providing confidential information. As mentioned above, a proper consideration for a non-compete agreement in Texas includes a company’s promise to provide confidential information to the employees signing the agreement. Companies, however, must deliver on that promise and actually provide such confidential information in order to make their non-compete agreements enforceable. 10. Not saving an electronic version of the signed non-compete agreements. Companies must make sure that they save an electronic signed version of their non-compete agreements in a location where employees cannot access and delete them. What is a “Reasonable” Non-Competition Agreement? Most states will enforce reasonable non-competition agreements, but what is “reasonable” and how the courts reach that conclusion varies. In Texas, there are some rules of thumb as to what is generally considered reasonable. A recent opinion from a federal court in Austin illustrates these rules as well as what happens when an employer attempts to enforce an overbroad, i.e., “unreasonable” non-competition agreement. In this case, a company that provides management services to amenity facilities, spas, and health clubs, sued its former employees for breaching their non-compete agreements after they went to work for a competitor. Among many claims that the company brought in the lawsuit, it specifically asked the Court to enforce the non-compete agreements and enjoin (i.e. prevent) the former employees from competing with it for 12 months. The employees’ non-compete agreements prohibited them from being “employed in a business substantially similar to or competitive with” the company for a year after leaving its employment. The agreements were not limited in their geographic scope or in the scope of activities to which they applied. The court stated that the company prohibited its former employees from working for its competitors anywhere in the country, even if a competitor was based outside the geographic area where the employees worked. It also barred the employees from working for a competitor “in any capacity” and, therefore, was not related to the employees’ duties while they worked for the company. The court explained that in Texas, “the hallmark of enforcement [of non-compete agreement] is whether or not the covenant is reasonable.” Generally, a reasonable area for purposes of a covenant not to compete is considered to be the territory in which the employee worked. Furthermore, noncompete agreements barring an employee from working for a competitor in any capacity are invalid. To be valid, the restrictions on the scope of the employee’s activities at a new company have to bear some relation to the activities of the employee at the old company. In the case above, the court specifically noted that the company failed to “articulate how [its] broad non-compete agreements [were] necessary to protect its business interests,” which is another requirement for an enforceable non-compete agreement in Texas. The company in this case will get another chance to address the above issues and produce some evidence supporting the reasonableness of its restraints at the temporary injunction hearing in a few weeks. However, the court’s denial of the company’s request for a temporary restraining order means that the employees in question remain free to continue to work for the company’s competitor until the hearing. BOTTOM LINE: When it comes to non-compete agreements, “reasonableness” is the name of the game, and while employers often want to err on the side of safety and put in longer and larger restrictions thatn what might be necessary, doing so can backfire when an employer has to enforce its agreement in court. Setting non-compete restrictions should not be done off-the-cuff, but should be a strategic and well-thought-out decision supported by legitimate business reasons. In Texas, non-compete agreements are generally enforceable if they meet certain requirements. Specifically, they must be: (1) part of an otherwise enforceable agreement, (2) reasonable, and (3) not greater than is necessary to protect a legitimate business interest. This simply means that a stand-alone non-competition agreement is not enforceable in Texas. Instead, a promise not to compete with an employer must be part of another valid agreement. 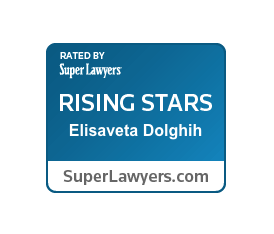 Most of the time, non-compete clauses are included in employment agreements, but they can also be used in confidentiality or restricted stock units (RSU) award agreements. Non-competition agreements in Texas must be reasonable as to the geographic area, duration, and scope of activity restricted. 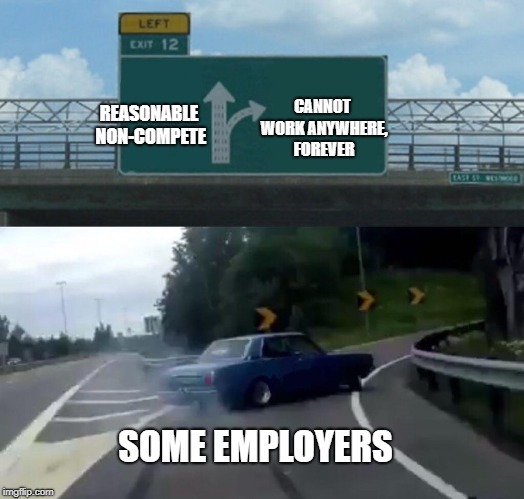 In court, employers have the burden of explaining why certain restrictions are reasonable, so they should be prepared to explain why the restrictions included in their non-compete agreements are reasonable for their industry, their business, and with respect to a particular employee against whom they seek to enforce the agreement. Not surprisingly, the reasonableness of the restrictions is one of the most hotly litigated issues in non-compete lawsuits and its resolution often depends on the industry, the type of the business involved, the duties of the employee, and several other factors. Typically, geographic restrictions should be limited to the geographic area where the employee worked. However, a larger restriction may be permissible in certain situations where the employee’s duties justify it. As a general rule, two- to five-year duration is considered a reasonable non-compete term in an employment relationship (the rules are different for non-compete agreements related to a sale of business). Finally, the scope of restricted activity must be reasonable in that an employee who goes to a competitor to work in a different capacity from what he or she did at the former company, should be able to do so. Thus, the restraints should be related to the employee’s duties at his or her current place of employment. Since Texas law places the burden on employers to show that their employment non-compete agreements are enforceable, employers must be able to explain why and how the restraints are related to their business interest. If the only explanation for a non-competition clause is that the employer wants to prevent competition from a former employee for a certain time period, such a “naked restraint” without business justification will not hold up in court. Non-compete agreements should be clear as to what they prohibit, when they end, and what territory they cover. If the language of the agreement can be subject to several interpretations, does not make sense, or is not clear as to the precise restraint parameters, an employer may have a hard time enforcing it in court. Indeed, some courts refuse to order employees not to violate their noncompete agreements where the terms are not clear (an injunction order). This is why a hastily written non-competition agreement, or one that is not well thought-through, may not be effective when the time comes to enforce it. Brace Yourself, Resignations Are Coming. Is Your Company Ready? Anyone who has been running a business for a while knows that January is a high turnover month for employees. And while companies cannot prevent employee turnover, they can take four steps this month to prevent employees from walking out the door with confidential documents and company trade secrets. 1. Make Sure Key Employees Have Valid Non-Competition, Non-Solicitation and Confidentiality Agreements in Their Files. Conduct an audit of your employees files to make sure that: (1) all key executives, employees with access to confidential databases or documents, and sales people have signed non-competition, non-solicitation and confidentiality agreements in their files; (2) such agreements meet the requirements of the Texas Covenants not to Compete Act; (3) the agreements are signed by a company representative; and (4) the company has an electronic version of the agreements so that if the hard copy gets lots, there is a back up. Set aside an hour or two to talk to employees about the importance of maintaining confidentiality of certain company information, go over the confidentiality policy, and answer any questions employees may have. This way, if they leave, the policy will be fresh in thier minds and they will be more cautious in what they can and cannot share with their new employers. 3. Verify That Company’s Document Management Systems and Databases Have Security Features Turned On. Task your IT person or department to look into what ERP, CRM, and document management systems the company is using and make sure all the security setting are turned on. Such settings often include the following: (1) alerts when a large amount of data is downloaded; (2) restrictions on what can be printed or downloaded; (3) access restrictions for different employees within the system based on the need-to-know basis; (4) back up features that allow the company to restore any emails or documents deleted by employees; (5) alerts when information is shared by employees outside the authorized company systems, and many others. 4. Remind Employees During the Exit Process of Their Continuing Obligations to the Company. Finally, when you do get a resignation notice, as soon as possible, meet with the employee to remind him or her about any non-competition, non-solicitation and non-disclosure requirements in their employment agreement and make sure the employee returns all of the company equipment and documents prior to leaving the company. If you find out or suspect that the resigning employee might be going to a competitor, preserve their email accounts and devices issued by the company while you analyze whether their move may violate their restrictive covenants. At Lewis Brisbois, we help companies design proper confidentiality procedures and policies, draft enforceable non-competition, non-solicitation and non-disclosure agreements, conduct confidentiality training with employees, and if trade secrets theft is suspected, help investigate it and prosecute it in courts around the country. I will be presenting with Stanley Santire of Santire Law Firm on the The Rise in Trade Secrets and Restrictive Covenants Litigation on January 17th at 2:30 p.m. at the Texas Bar Advanced Employment Law Course in Dallas, Texas. You can get a copy of our paper by registering to attend the event (registration link here). This is a fantastic course for employment lawyers in Texas, which offers 15 hours of CLE credit over two days.